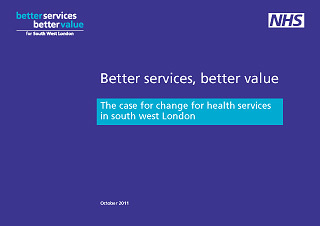 We designed the logotype to fit within NHS guidelines while providing a distinct identity. We are currently working on this ongoing project including the design of the website. 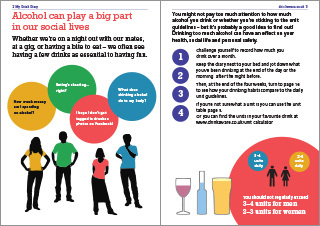 An A5 diary for young people to help them keep track of their drinking. 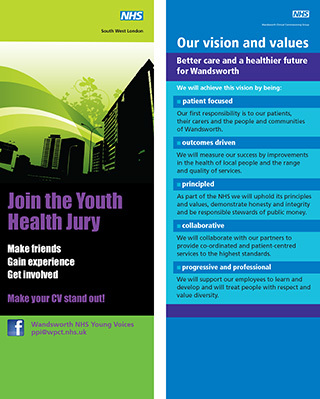 Pull-up banners for different projects. 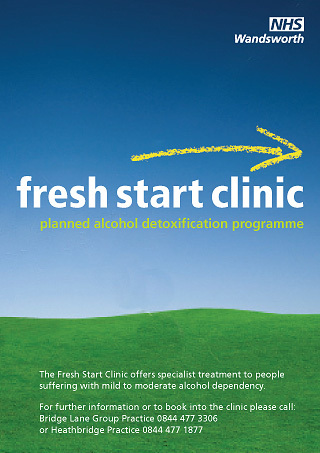 ﻿Fresh Start is a planned alcohol detoxification programme; aimed at those with moderate problems it needed a fresh, optimistic look. 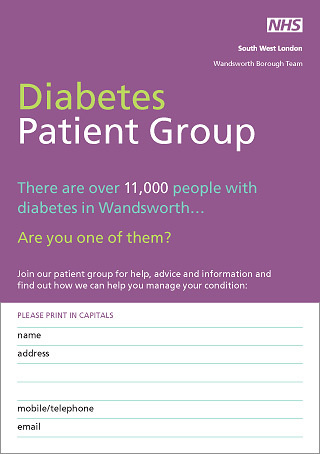 A card designed for use at roadshows, to encourage people with diabetes to join a patient support group. 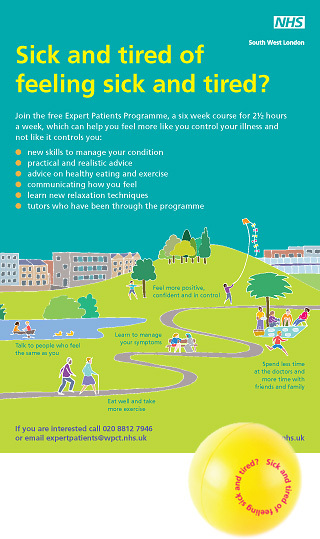 This is a programme to reach people with chronic illness and put them in touch with each other for mutual support. The materials included posters, leaflets, pull-up banners and stress balls.